Does anyone remember the old chapter books in the Choose Your Own Adventure series? 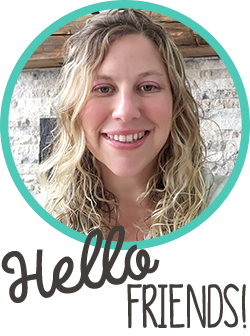 Readers would get to a certain point in the story and then have to choose the ending they preferred (Does the princess marry the prince?Does the hero find the treasure?). Students will have lots of fun navigating through the adventure and choosing their own ending. 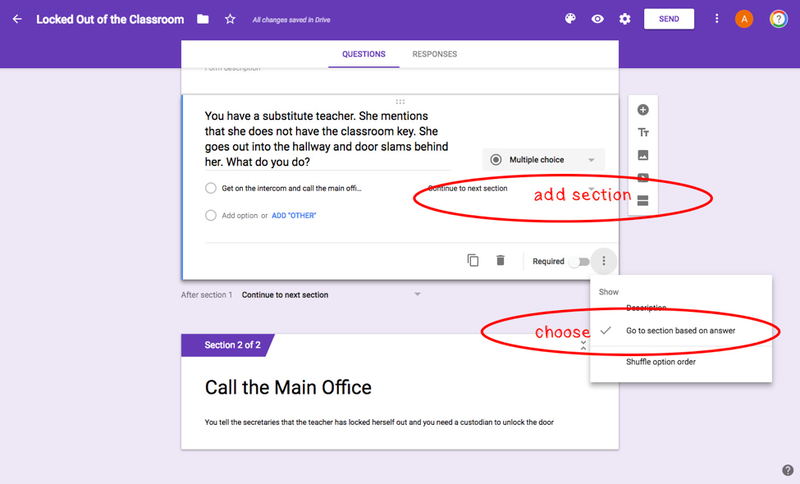 Teachers can also use it for other free choice assignments. For example, students studying colonial America can choose the path of a settler, Native American, servant, explorer, etc. Another theme could be discussing consequences for various behavioral choices. I have provided a sample discussing “What would you do if the substitute teacher got locked out of the room?” For younger students, you can create “Yes” and “No” questions with pictures. I have another sample for the little ones, giving pictures of what plants need. 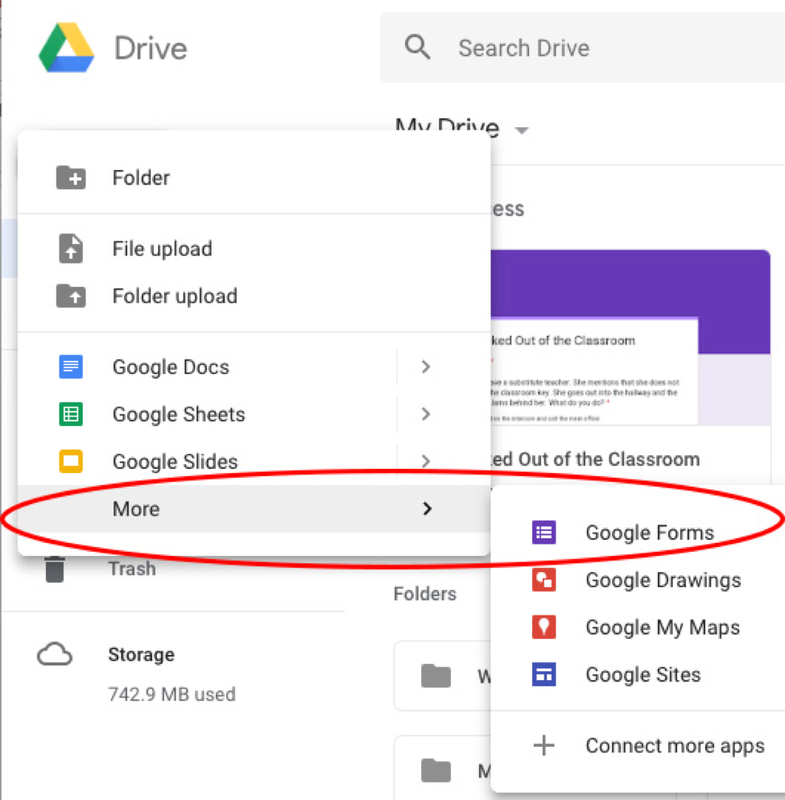 First thing you have to do is open Google Forms within your G Suite for Education family of apps (you may have used this already for surveys or quizzes). Under the apps, you might have to click “More” to reveal Forms. Click on the three dots (signifying More) and select: Go to section based on answer. Pull down to the desired section. Each answer should direct the students to a different section. Choose the section for each answer (Option (or answer) 1 goes to Page 2; Option 2 goes to Page 3, etc). If you name the sections instead of leaving them as Page 2, Page 3, it will make them easier to identify. Make all questions “Required” to answer. You want the last answer to go to “Submit Form.” That is the end of the form. So, when you have two alternative endings, the very last one will automatically go to Submit Form. 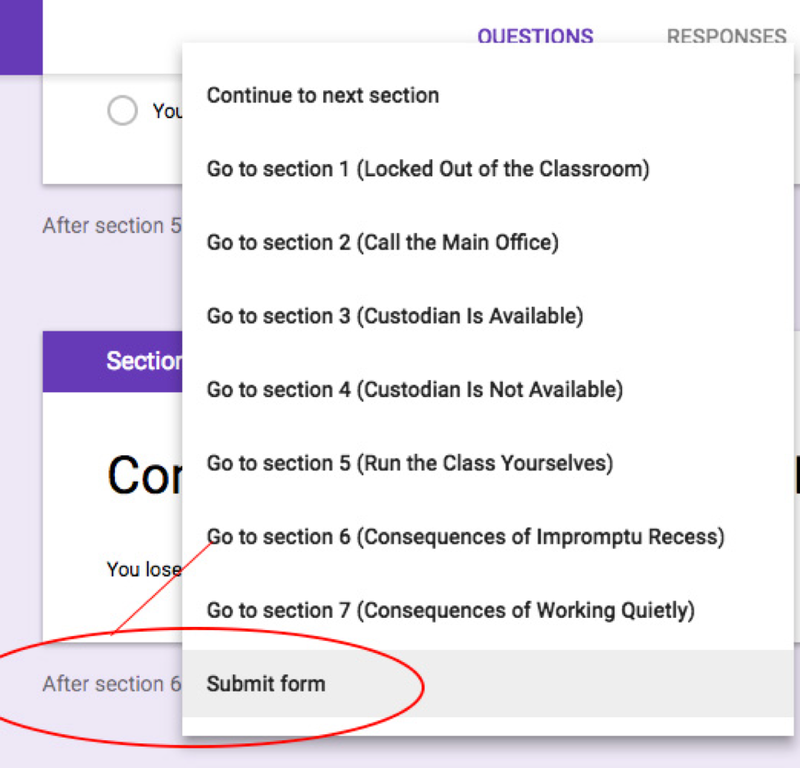 Make sure you change the next-to-last answer to Submit Form (don't leave it as Next Section, or it will go to the final answer). When all questions have been directed to the desired section, you can end the adventure. 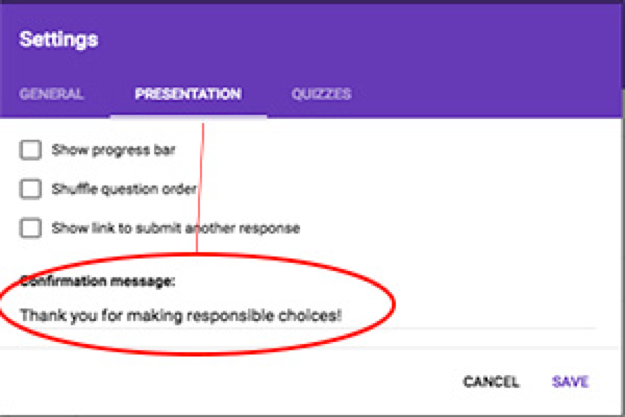 You might want to put a final message, like “Thanks for playing” or in our example, “Thanks for making responsible choices!” Go to Settings and Presentation and type your confirmation message. 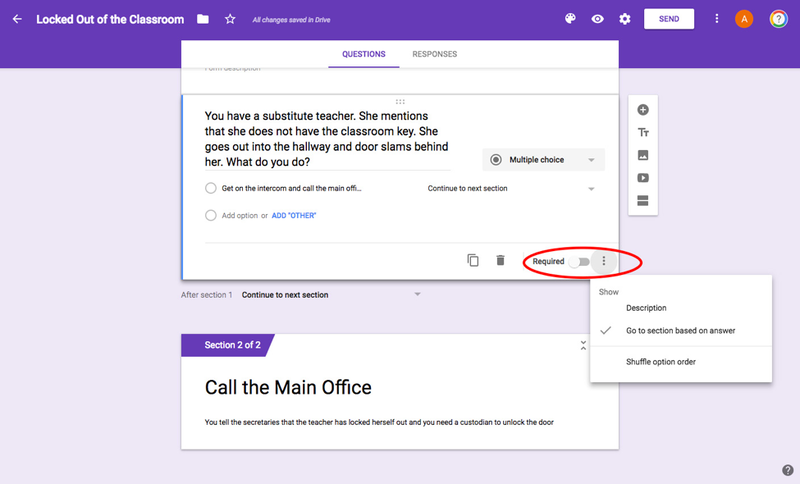 Under Settings, you can also restrict who answers the quiz and whether they are limited to one response each. Click on the “eye” icon to preview the quiz. To share the form, click Send and get the link. I have changed the last word of the links below to “Copy.” You will be prompted to make a COPY of the form, which you can then edit as you wish in your Drive. If you create an original form and share it, you will want to change the last word from "Edit" to "Copy", so no one edits your original form. 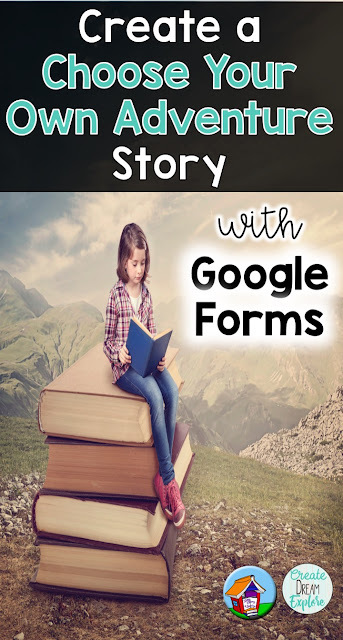 You do not have to do this if you are just sharing a form with your class. 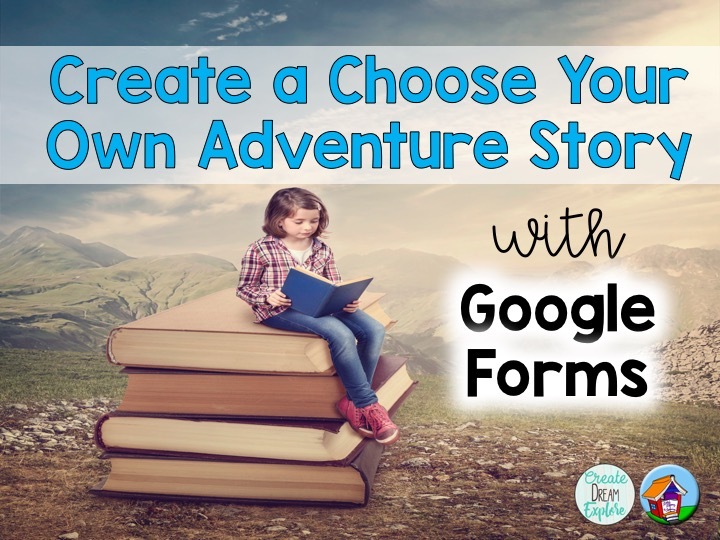 Have fun choosing your own adventure!